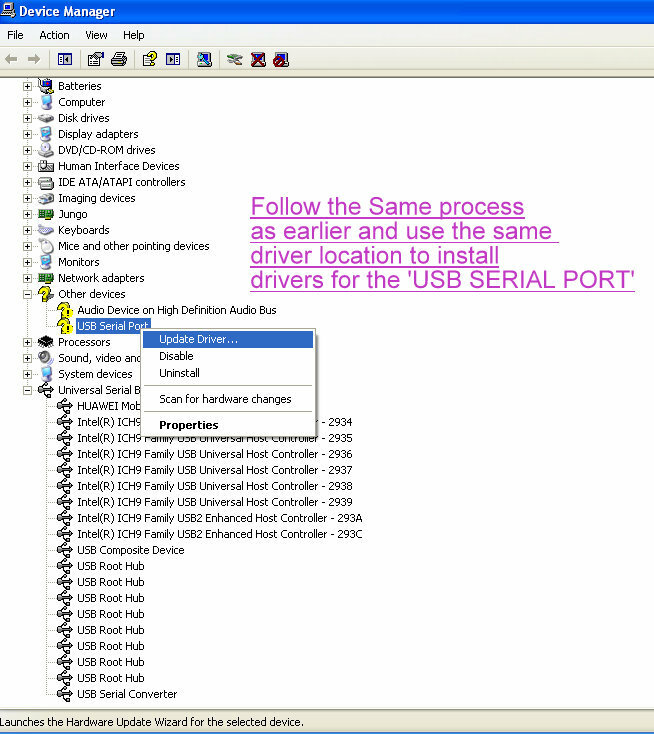 Connect the Induino R3 board to your PC using the usb cable provided. You should see the power (red) led go on on the Induino R3 board. 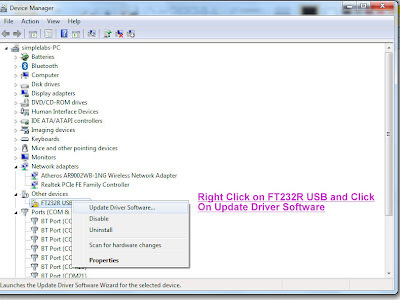 Windows will detect a new usb device and install the FTDI drivers automatically. If this worked for you, skip to step 15, If not follow the steps 7 to 14. 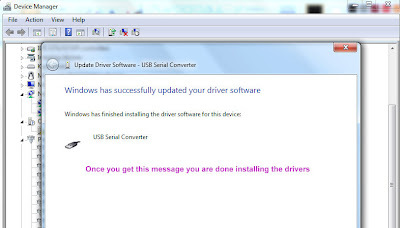 Ignore any options to install drivers and Do not let windows install any drivers automatically. 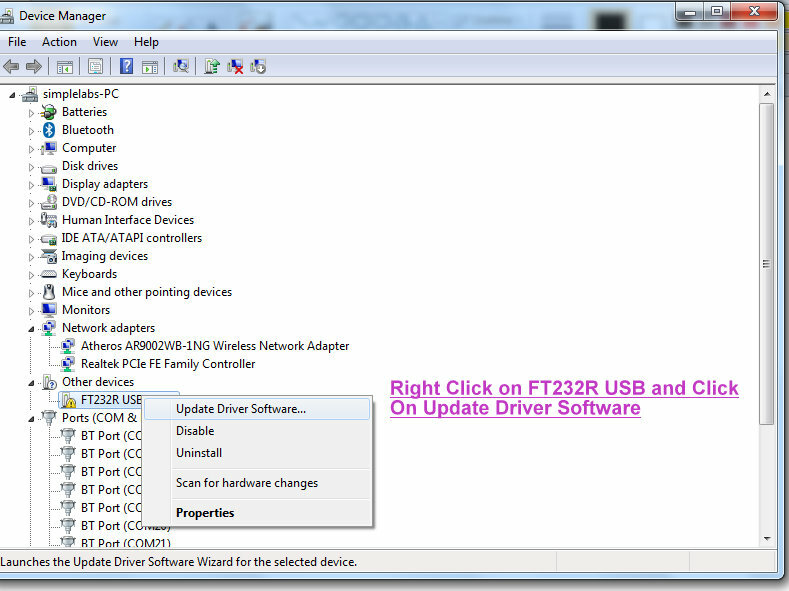 Now Scroll Down the List of Devices in the Device Manager till you come to a Device 'FT232R USB UART'. 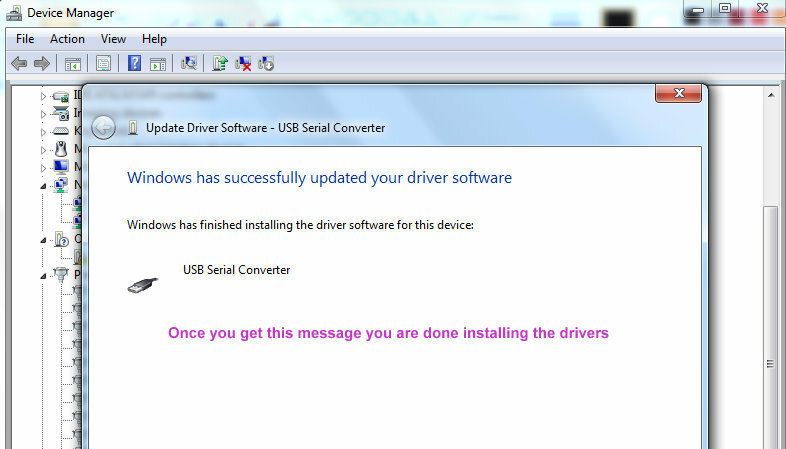 You should see a warning icon next to it as the drives have not been installed. 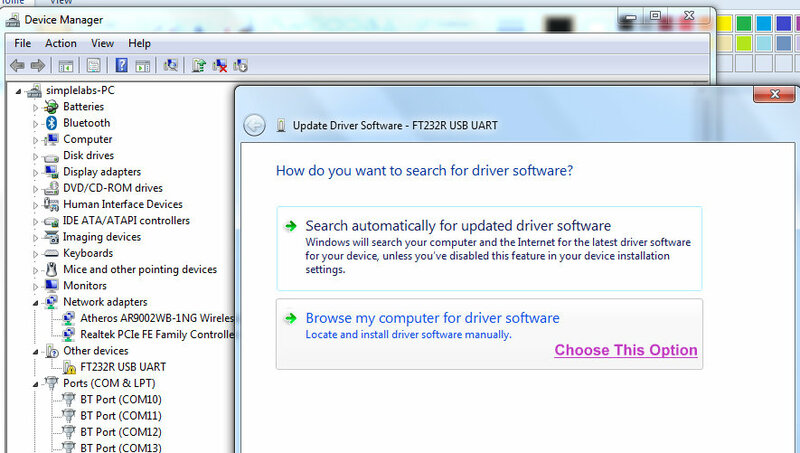 Right Click on this Device and Choose 'Update Driver Software...' option. Now, Windows might throw a Security warning, ignore it and click on next. 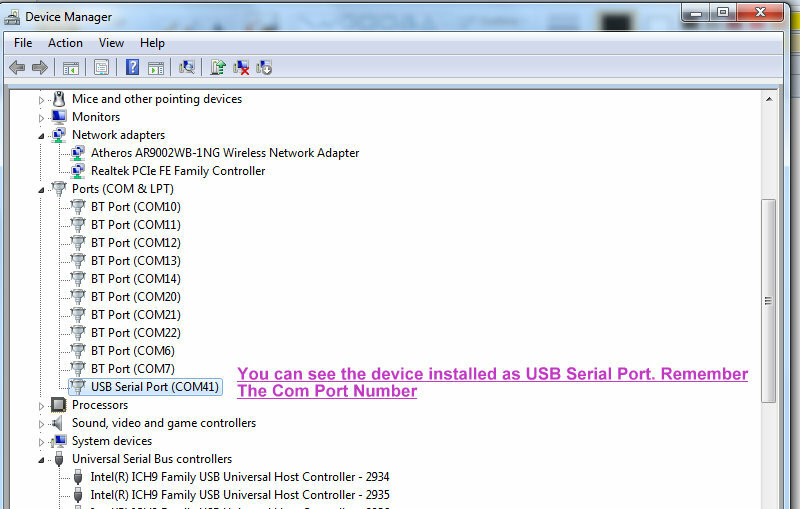 Now Windows will detect a USB Serial Port and ask you for drivers. 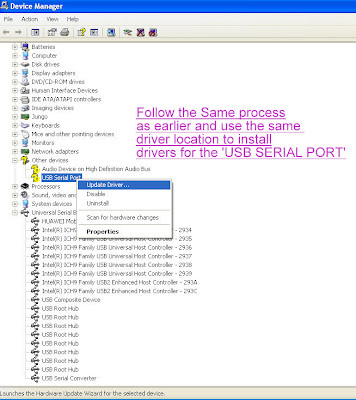 Follow the exact same process as we did earlier, choosing the same driver location as earlier - In case Windows doesn't ask you, scroll through the Device manager and find the listing called 'USB Serial Port' and follow the above steps. 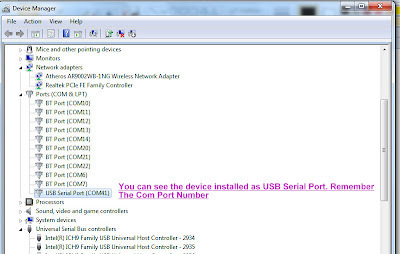 Once everything is finished, You should be able to see a new device 'USB Serial Port (COMXX)'.Make a note of this Number. Induino R3 works with Linux like a breeze. Right from the time of the First Induino Board, we have used Ubuntu extensively to work with and develop the Induino R3. However, with so many flavors of Linux out there its impossible for us to put out a guide for each of it. 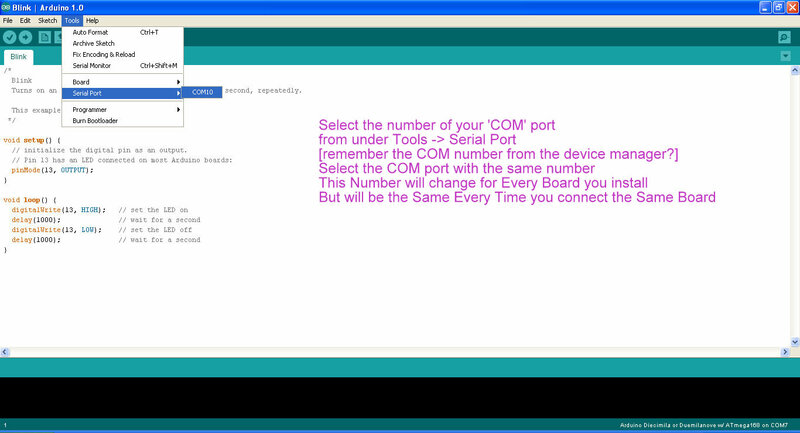 So we shall refer you to the Arduino Playgroud (http://playground.arduino.cc/Learning/Linux). Follow instructions from there based on your version of Linux. 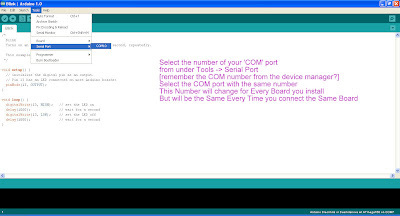 Just remember that, the Induino R3 is similar to an Arduino Duemilanove as far as driver installation goes however the Board choice to be selected in the Arduino IDE is Arduino UNO. Drop us an email if you are facing difficulties. Thats it! We are Done! Dear Expert, Every time after uploading am geting following error, and the Induino R3 runs only the Blink program. Would you please explain the error. 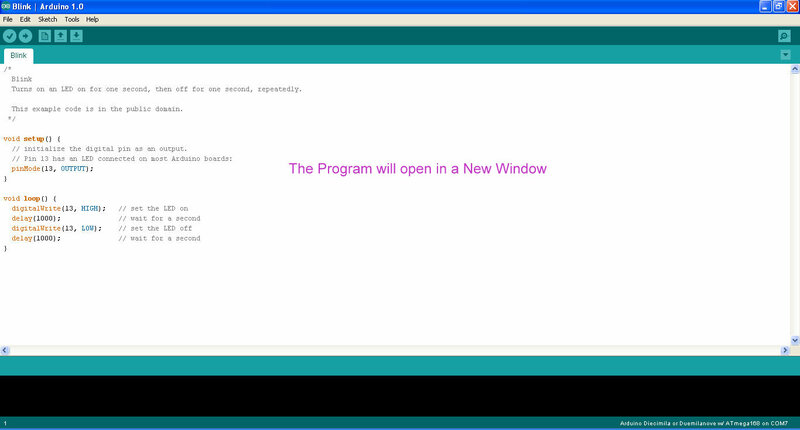 I have downloaded the Arduino zip file and when i try to browse to the unzipped folder, Windows doesnt even recognize and install the specific driver. Could you please let me know how to go further? i am facing the same problem.. did u get any solution ? Can you guys email us on info@simplelabs.co.in with more specific inputs on the problems you are facing. Most of website put the virus in your system while Downloading. 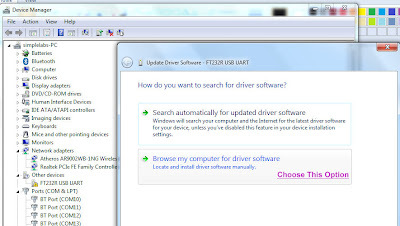 You should Remove the temporary files from your system and downloading should be virus free web sites like as SoftMozer. Hats off for making such a gr8 board at a low price and I am happy i chose induino as my first board. I hv started using the induino and am not having any problems so far. Currently I am powering the induino via usb cable from pc. I am purchasing the battery clip with dc jack from simple labs as a more portable option and I want an ac-dc adapter as an alternative too. But the simplelabs website had a few different ac-dc adapters-a 12v 1.5A, a 12v 2A and a 5v 1A.... I want to know which one would be best for my induino. Also I have a samsung phone charger which has a usb slot in it. I was curious if I could connect the cable provided to the charger and power it through the usb jack in the indino. Is this possible? Also what could be the possible implications if the induino gets accidentally overloaded? you can go with the 12V 2A or 12V 1.5 A based on whichever is available. You can use a samsung changer and plug the other end of the usb cable into it as well but the board is designed to use a maximum of 500mA from usb, so if requirement goes above it, its better to power the board from the wall adapter. Thanks for the prompt reply Prakash. I used my multimeter to measure the usb output from my pc and it came out to be around 5v and 2A while the charger was giving only 5v and .2A(200mA). How is this possible? I never thought my pc could give such high amperage and why didn't such a current damage the board?